Costumes | The leader in Ballroom dancing! 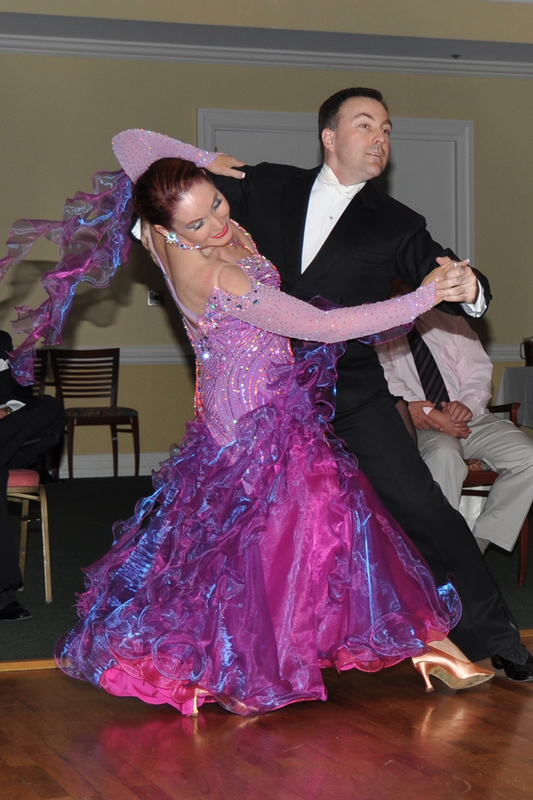 Costumes – The leader in Ballroom dancing! NEW BEGINNER I CLASS! – This is the class that gets you started in learning to dance! Starting Tuesday, January 2nd @ 7:00pm. Classes are 8 weeks – $80pp. Location: Boulder Creek Ballroom. $10 deposit to hold your spot is required. Learn the Foxtrot, Merengue, Hustle, and Cha Cha Cha! Dress comfortably. No street shoes! Only dance shoes or socks please! ADVANCED VARIATIONS – Wednesday, January 3rd @7:00pm – Fun class! Lots of people take this class over and over because it is always different. Teacher’s approval to join class. Must have good foundation in Beginner I and II and Intermediate. Class votes on dances each time. Great for building sequences. 8 weeks, $80pp. Boulder Creek Ballroom. BRONZE INT’L QUICKSTEP CLASS! 4 week class starting Sunday, January 7th @ 2:00pm. Only $44pp. Learn the Bronze Syllabus and improve on your technique. It’s a fun dance routine! You should have the foundations (BI and BII). Location: Boulder Creek Ballroom. $10 deposit to hold your spot is required. NO street shoes please! Dance shoes or socks only. NEW BRONZE LEVEL INTERNATIONAL RUMBA CLASS! A 5 week class, one hour each week starting Sunday, January 7th @ 3:00. Only $55 per person. Location is Boulder Creek Ballroom. Please send in $10 deposit to hold your spot in the class. NEW INTERMEDIATE CLASS! – Starting Tuesday, January 9th at 8:00pm. (Beginner I and Beginner II prerequisite. We cover Samba, Rumba, Waltz and Foxtrot.) Location: Boulder Creek Ballroom. 8 weeks, $80 per person. $10 deposit required to hold your dance spot. Call Susie at 585-503-7087 or Susiebballroom@gmail.com.. Check out this elegant Latin Costume! Black/red lace heavily stoned with Swarovski stones. Rolling layers of skirt in red to show off your dance movements. Comes with detachable belt, necklace and two bracelets. Size small. Practically new. Worn once for 5 minute Rumba show. Call Susie at 585-503-7087 or Susiebballroom@gmail.com for more information. Brand new Supadance Shoes for sale! Looking for some new dance shoes? I am selling a brand new pair of Supadance Ballroom Shoes style #1002, white satin, size 4 English (American 6 1/2), 2 1/2″ heel and medium width. Never worn. Asking $105, new $145. Please call 585-503-7087 if interested, call Susie. I have several gorgeous ballgowns and latin costumes I am selling. I also have some practice wear and brand new or slightly worn show shoes I am selling. I will be posting pictures once in a while so you can see what they look like. Please contact me via email: Susiebballroom@gmail.com or call me at 585-503-7087 if you would like more information. This is a fun Chrisanne dress that is a lot of fun to dance in with all the feathers on it! Looks better without the chair behind it and with a good looking dance partner in dance hold! Nice and stretchy! Call or email me for price please! Worn for about 5 minutes! I am selling some of my personal ballgowns and latin dresses. They are custom made and excellent quality. Serious inquiries only please! The costumes are perfect for competing or doing studio shows. Please private message me if you would like more information.